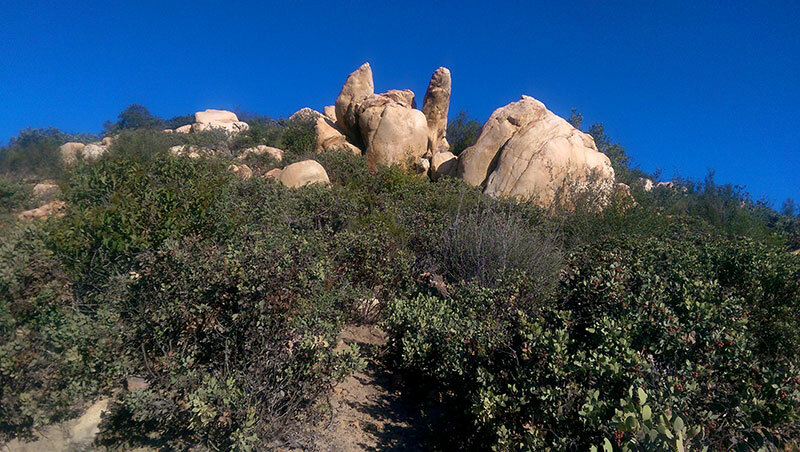 Distance: 6.4 miles | Hiking time: 3.5 hours | Difficulty: 6/10 | More info. 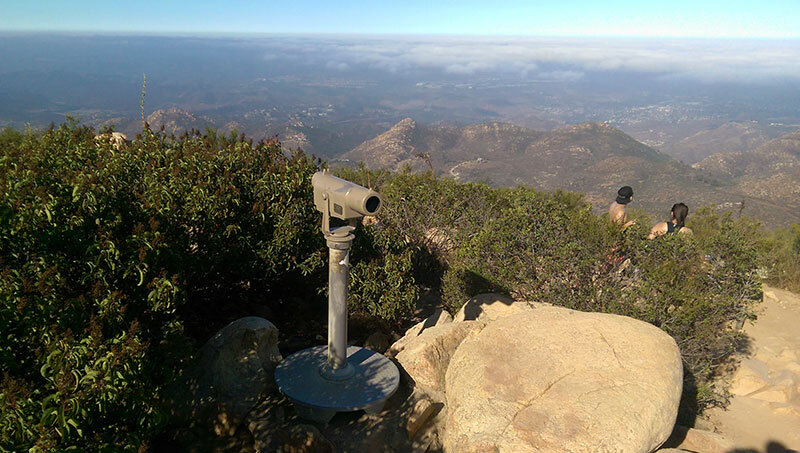 When it comes to views of the local mountains, the view from the summit of Iron Mountain in San Diego is as good as it gets. 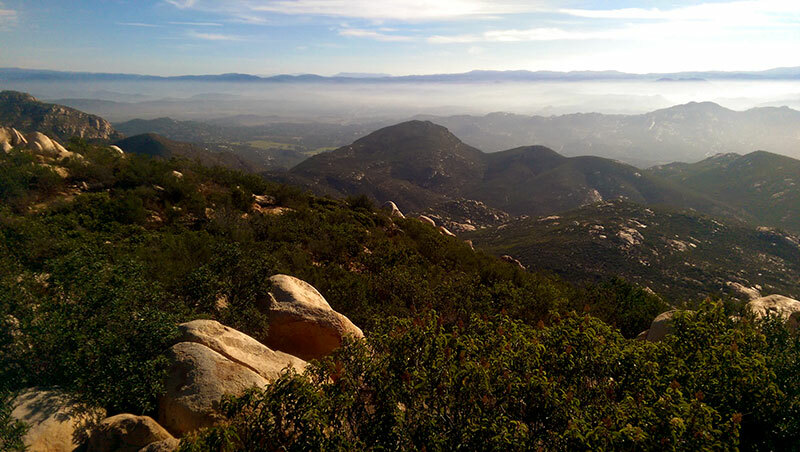 The family friendly hike begins in Poway off hwy 67, just a few short miles from another favorite hike of mine, Mt. Woodson. 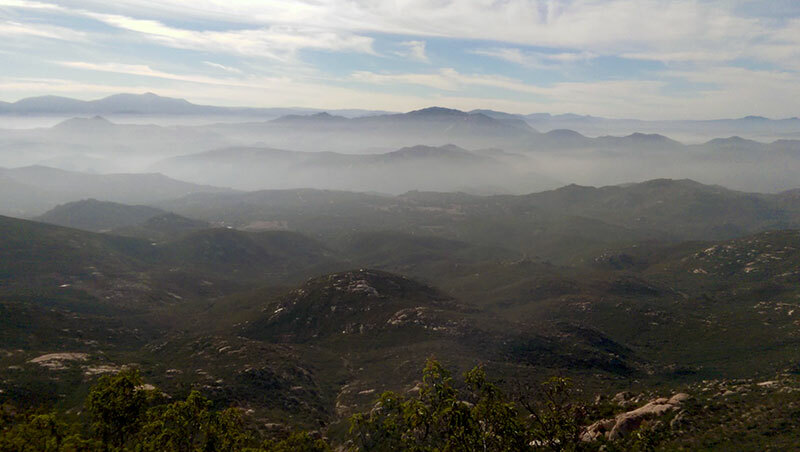 At around six miles round trip, the “short” trail is not a short hike, but it takes you on a scenic, gradual, winding trip up to the 2698 ft. peak. 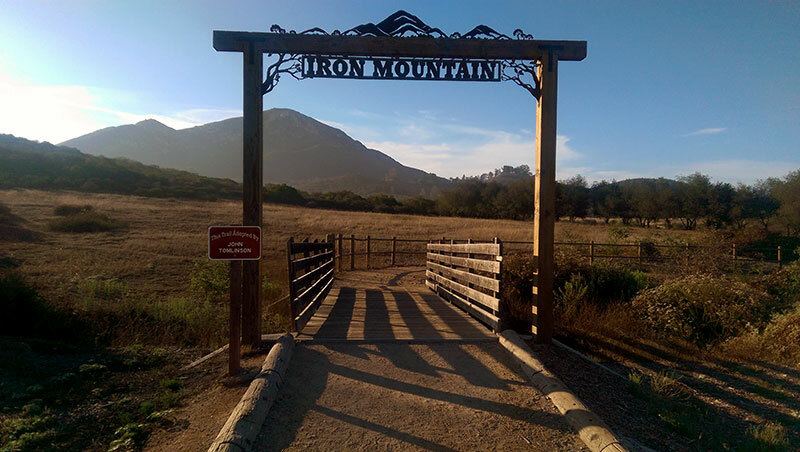 The summit of Iron Mountain is clearly visible from the trailhead parking lot located immediately at the base of the mountain. One quick look can leave you both inspired and intimidated. Not to worry though, it’s not as tough as it looks, but delivers twice as much as it impresses. The trail begins easily enough with a peaceful walk through a tunnel of trees, which also provides a refreshing and much appreciated dose of shade at the end of the hike. 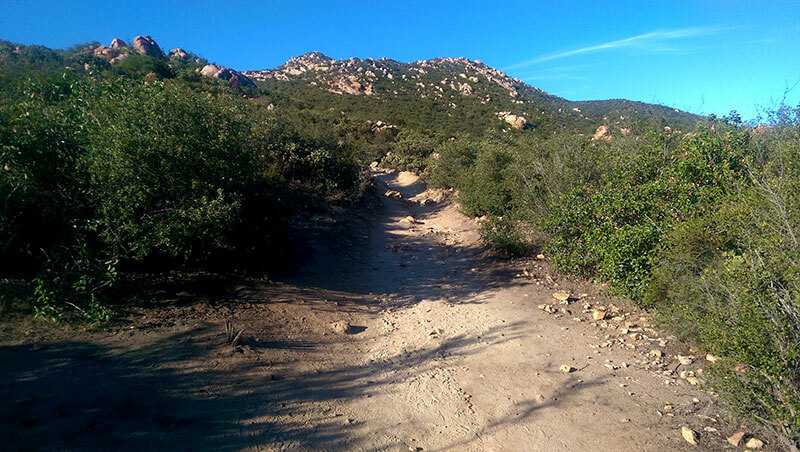 After a short walk along a fire road, the trail narrows and begins a slightly steeper ascent, winding its way across the boulder-strewn mountainside. Soon, the trail begins to zigzag up the face of the mountain,not only making the climb manageable but also providing plenty of spots to rest and take in the constantly changing views. The summit is almost always in view, acting like a lighthouse beckoning hikers to keep moving up. 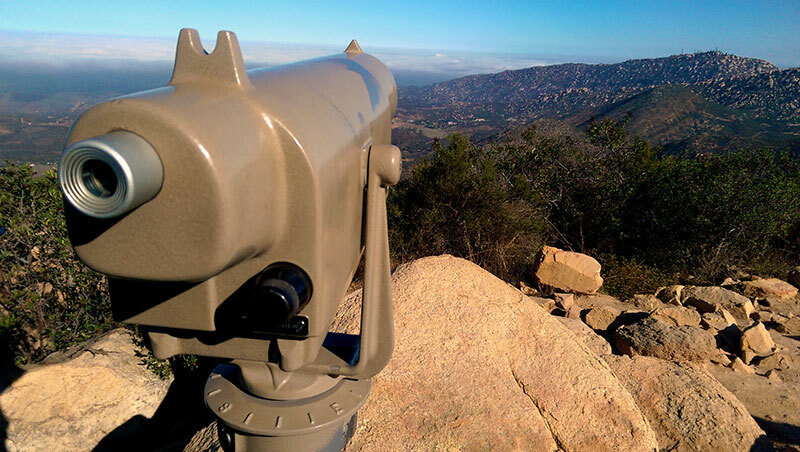 And just as suddenly as it all began, the trail ends, letting out into a set of observation points scattered across the peak offering views in every direction for as far as the eye can see. I really enjoyed this hike. For an out and back trip, it was a surprisingly fun trek. There was an amazing and never-ending assortment interesting rock formations to keep your mind off the task of hiking. 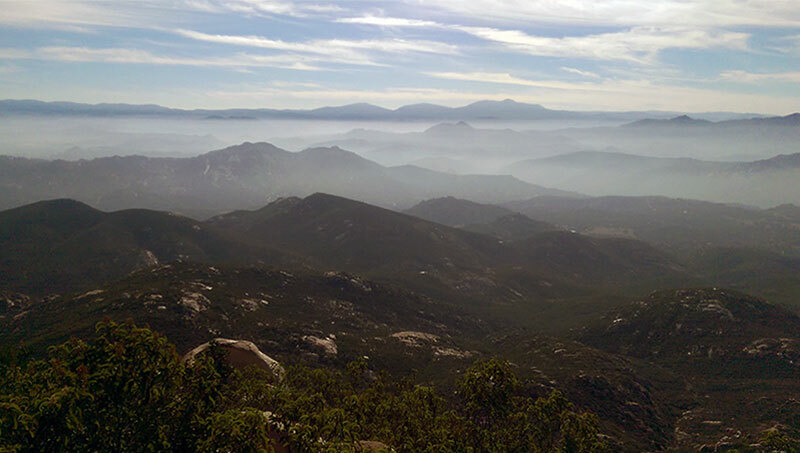 And once the mountains to the east came into view, I could hardly keep my eyes on the trail. What made it even more remarkable was how the view changed so dramatically as we worked our way along the trail and up the mountain. 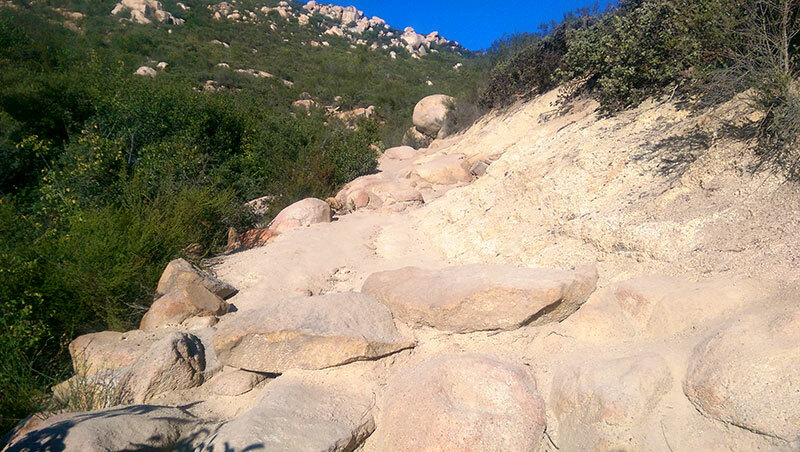 Iron Mountain’s “short” trail wanders its way over boulders, through thick groves of manzanita, and around interesting rock formations. 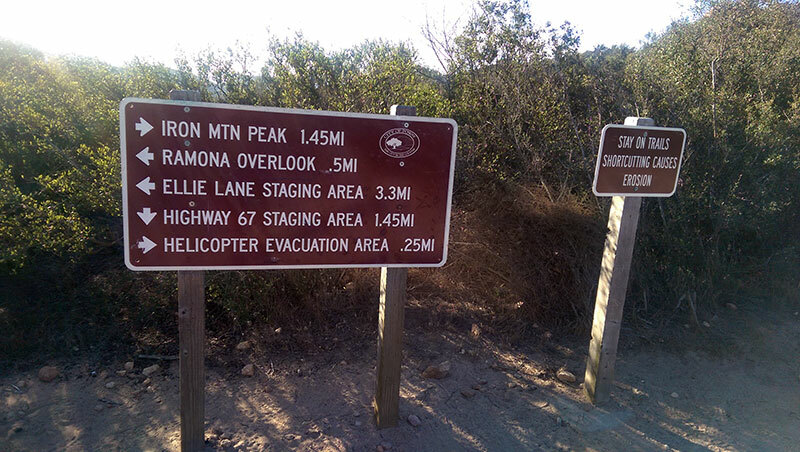 The elevation gain is manageable due to some well placed switchbacks that zigzag their way up towards the summit. 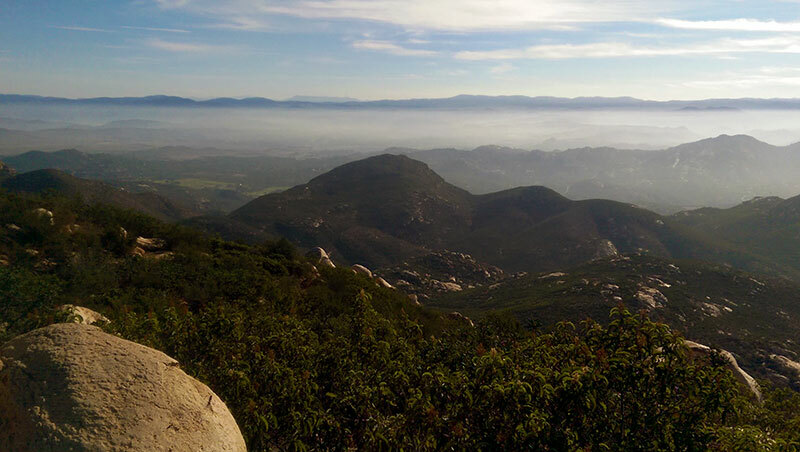 We started the hike at 7am on a weekday morning in early August. When we arrived, the parking lot was already had a number of parked cars, which is indicative of the trail’s popularity. We passed a variety of of hikers on our trip, spanning every age and fitness level imaginable. 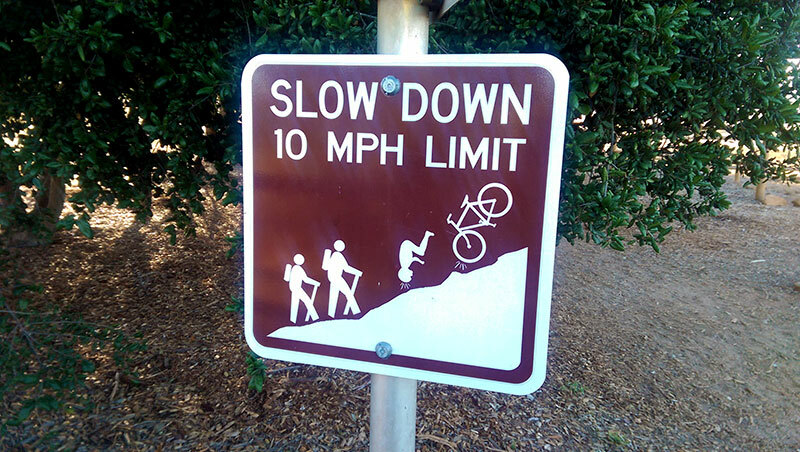 Despite their diversity, the hikers on the trail all had one thing in common – they were all having fun, which was clear by the smiles on their faces. 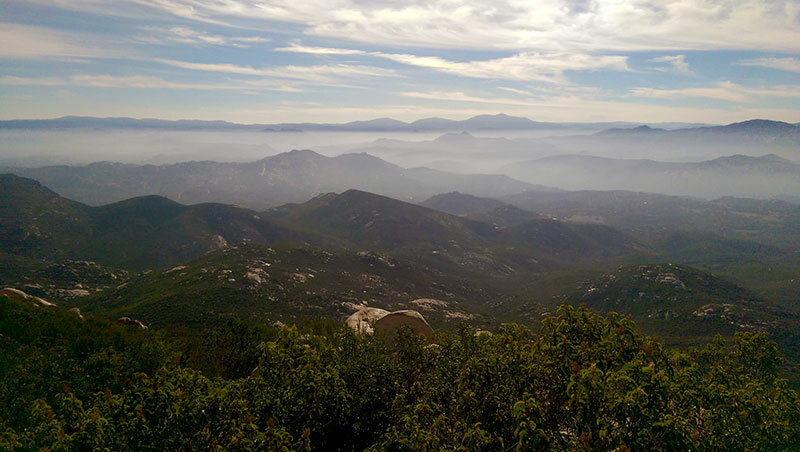 Don’t let the enjoyment factor of this hike outweigh your common sense, however. It can get hot out there, and there’s not a lot of shade available once the real hiking starts, just past the base of the mountain. So get an early start if you can, and be sure to bring plenty of water! 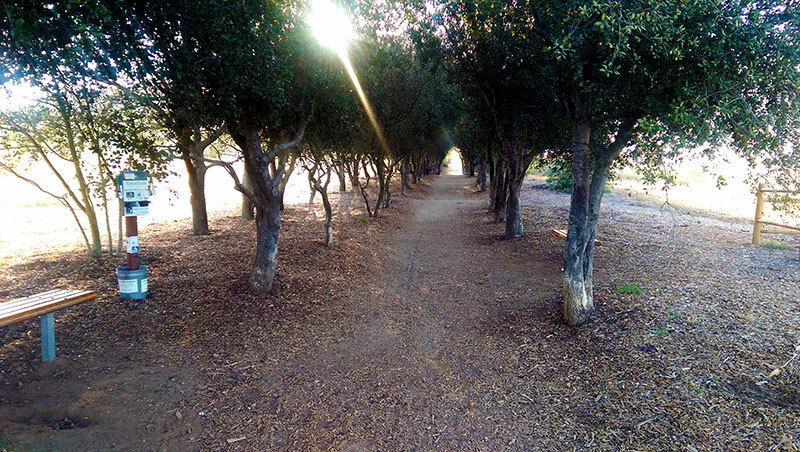 The trail is free to use, no fees or registration required. 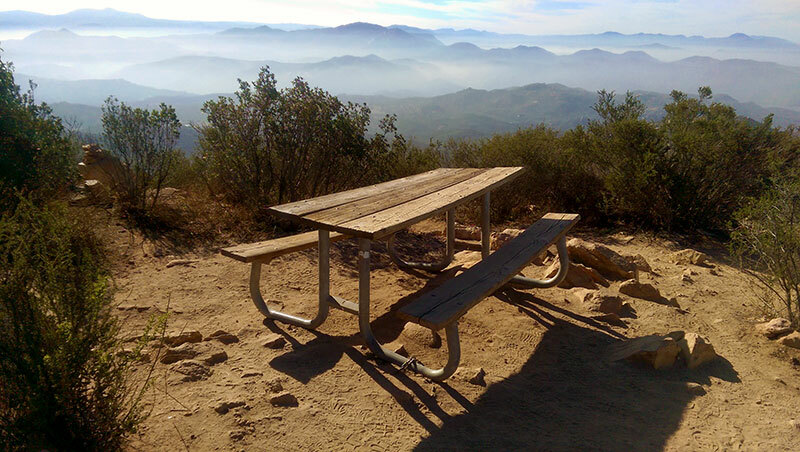 It’s open to hikers, runners, mountain bikers, dogs, and parts are even accessible on horseback. 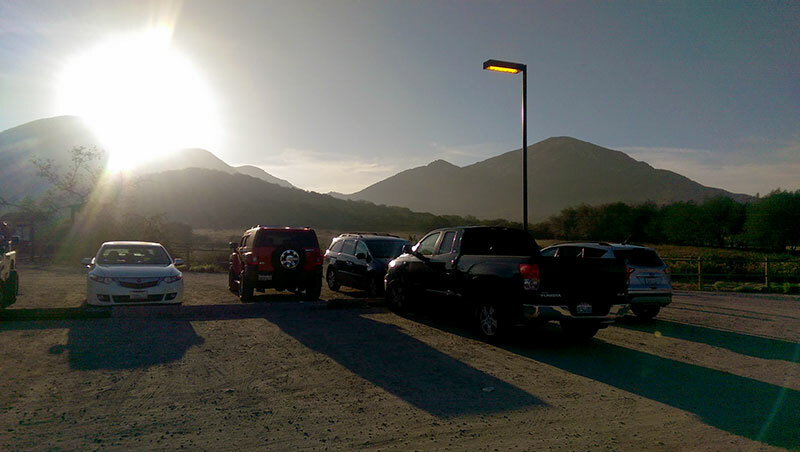 There’s plenty of parking at the trailhead, so you don’t have to worry about hiking too far to start the hike. 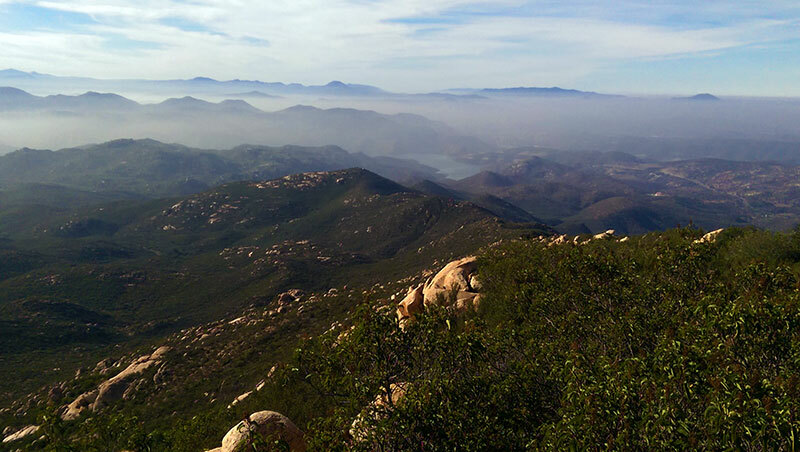 This is a family friendly hike that will leave you invigorated and inspired. Get started early to beat the crowds, bring plenty of water, and you are certain to embark on a hike that you won’t soon forget.